Anti-government protesters have vacated the city hall of Mariupol in southeast Ukraine following a night of clashes over checkpoints with Kiev's troops. The city hall was taken Wednesday morning by pro-government forces, local media reported. The barricades were being dismantled by workers, as a crowd of some 50 people gathered nearby shouting “traitors” at them, 0609 news website reported. People living near the city hall said they didn't hear any gunshots, indicating that the change of control did not involve any gunfight, but sporadic shooting was heard in Mariupol overnight. As RT has been told by a local source, there has also been a shooting near Mariupol airport. “People in black and camouflage have shot at several vehicles,” the source said, adding that there was no information about injuries at the moment. According to RIA Novosti citing its source from Donetsk, “unknown men attacked several checkpoints”. “There was shooting in the area close to a military base near the airport,” the source said. It also added that the shooting has calmed down for now and only single shots can be heard. The source said that “the assault” did not look like “active actions by the regular army” because the men were wearing uniforms without matching camouflage print. This video below that was shot at 20:29 local time as the voice says it shows streets surrounding Mariupol’s city council. The man says the fire is burning tires. On May 3, Ukrainian troops briefly moved into the city late at night surrounding an administrative building held by anti-government protesters. Offices of Privatbank were set ablaze and burnt to ashes. Meanwhile, the military operation is currently continuing in a number of cities and towns in the Donetsk region with less than 20 days left till the Kiev-set May, 25 presidential elections. Acting Ukrainian President Aleksandr Turchinov has signed a law starting partial mobilization in the country. Earlier on Tuesday, the Ukrainian parliament supported the extension of the mobilization and approved a plan to strengthen Ukraine's defense capability and security. 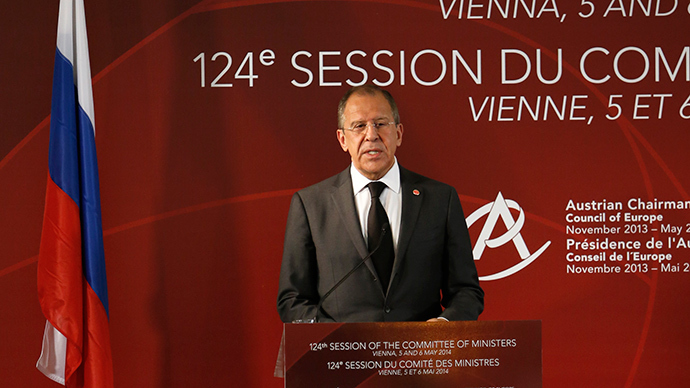 "A very important decision has been made today - to extend the mobilization campaign. Those who were earlier mobilized and served 45 days, will be demobilized, and replaced by other patriots," leader of the Svoboda parliamentary faction, presidential candidate Oleg Tyagnibok said as cited by Kiev Post. 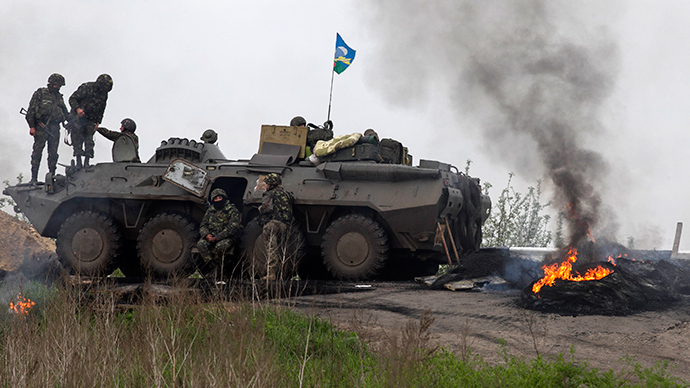 The Ukrainian army has been conducting a new stage of the military operation against autonomy supporters in the country’s south-east starting May, 2. On May 5 several checkpoints came under attack around the city of Slavyansk. Casualties were reported on both sides. 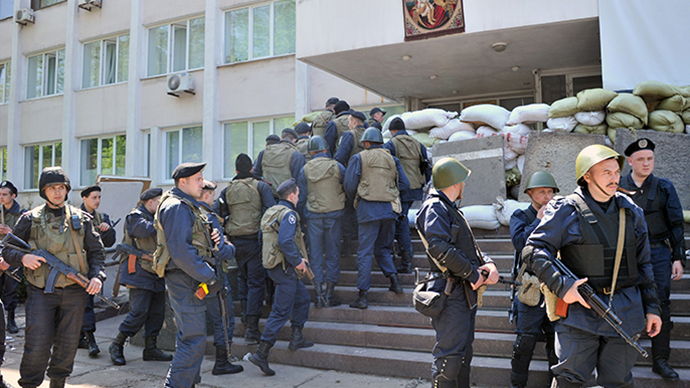 On May 6, anti-government protesters seized yet another administrative building in the Donetsk region.